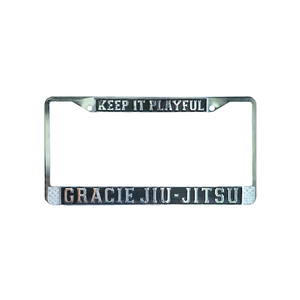 "Keep it Playful" Gracie Jiu-Jitsu Chrome License Plate View Sale! 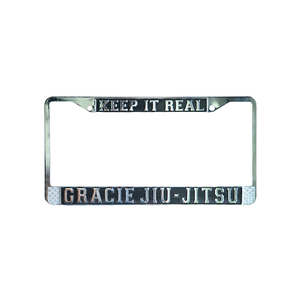 "Keep it Real" Gracie Jiu-Jitsu Chrome License Plate View Sale! Gracie University Chrome License Plate View Sale! 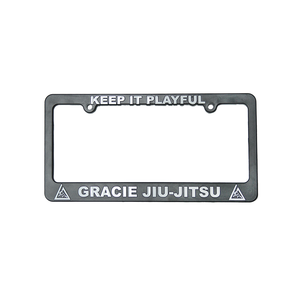 "Keep it Playful" License Plate Frame View Sale! 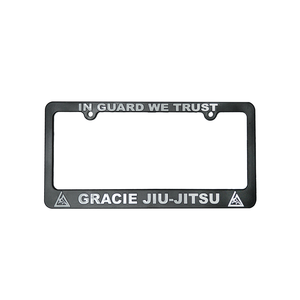 "In Guard We Trust" License Plate Frame View Sale! 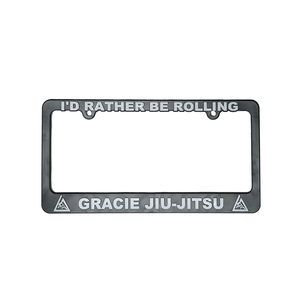 "I'd Rather Be Rolling" License Plate Frame View Sale! 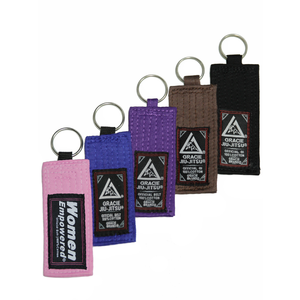 Gracie Belt Key Protectors View Sale! 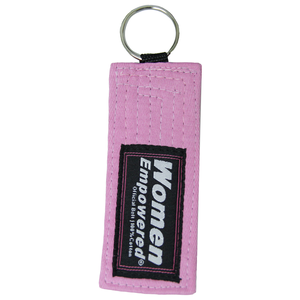 Women Empowered Pink Belt Key Protector View Sale!